With over 65 years of experience, The Howard Company will develop amazing merchandising products to make your vision a reality! 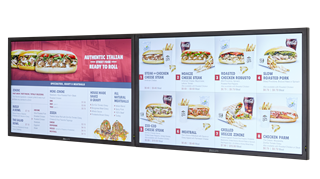 We work with you to find the best solution for your indoor, drive-thru or digital menu boards, marketing, Point-of-Purchase, decor, and merchandising needs. Our business partners count on us to research and design products that will surpass their expectations. 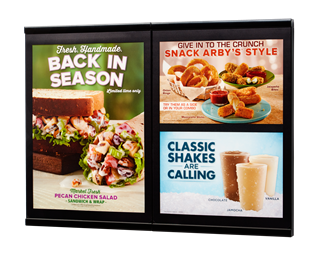 From our custom non-illuminated menu boards to digital display menu boards, to drive-thru lane canopies and outdoor signage, our Howard team seeks to create solutions that work in real world situations. How can we help you? 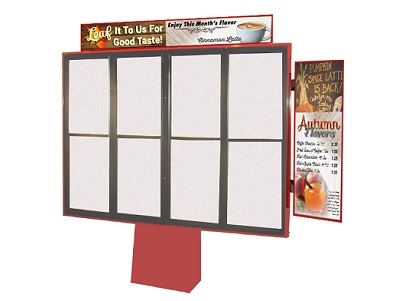 The Howard Company offers creative menu board solutions and innovative point-of-sale materials to uniquely express the vision of our business partners! 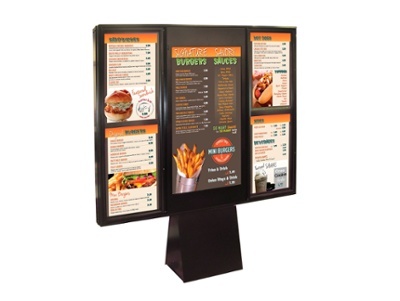 Custom menu boards and marketing materials without the custom price – The Howard Company has design options that will make your restaurant vision a reality! Menu signs, digital displays, canopies, clearance bars, directional signs - we can design an outdoor marketing solution for your car wash. 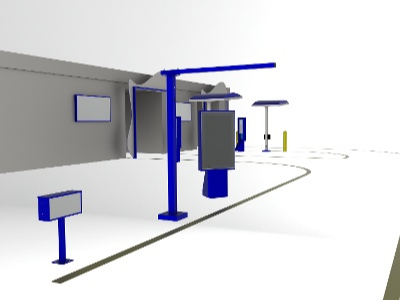 Expand the surface area of your drive-thru with inexpensive brand boosters. Use the space to advertise LTO's which change frequently or high-margin items, and keep the main menu area for your standard items. The best of both worlds. The flexibility of a digital display in the center panel with illuminated side panels. You don't have to break the bank to go digital! Thank you so much for your team and your time in this project...Aramark was thrilled with the concept and very excited about the new look Coca-Cola presented for their foodservice area. I would consider The Howard Company one of our best suppliers. They exceed expectations and always deliver a quality product. No matter how large or small of a task, The Howard Company develops a strategy and executes their plan without exception. I personally enjoy working with the Howard team and have experienced a high level of professionalism and great customer service within all levels of their organization. We consider them a strategic partner and a preferred vendor in the marketplace. Phenominal organization. They understand all concept variability issues and motivations. Strongly recommend. I just wanted take a minute to thank you and the design team for all of your help and hard work on our drive thru and inside menu boards. Both the store owner and I thought everything came out looking fantastic and the inside menus really added a great touch to the walk up counter. I really appreciated the quality of customer service I received from both you and the design team. We certainly intend to use your company for any future needs.